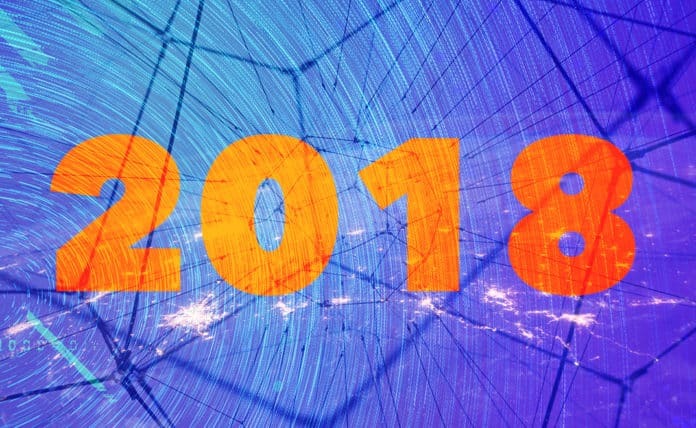 Which IoT trends are expected to dominate in 2018? The Internet of Things is already altering the way we live in a multitude of ways, from the transformation of many business operations to the reshaping of how we drive and manage our homes. And considering predictions by IHS that there will be approximately 70 billion IoT devices in existence by the end of 2025, we are truly still at the beginning of the changes that IoT will bring to our world. But don’t worry, we won’t have to wait an entire decade to experience this incredible evolution. In fact, BI Intelligence predicts that almost $6 trillion will be spent on IoT solutions over the next five years, so there’s no question that we will see massive advancements in the not-too-distant future. Looking ahead to the next year, which IoT trends are expected to dominate in 2018? Commercial devices are rapidly evolving to be powerful enough to run full-fledged operating systems and complex algorithms. Edge Computing, which refers to the fact that part of the work happens right at the edge of the network where IoT connects the physical world to the Cloud, involves a great deal more than having computation and data processing on IoT devices. A fundamental aspect of this concept is the strong and seamless integration between IoT and the Cloud, bringing the physical and computation worlds closer together in a profound way. The next developmental wave of resource-efficient machine learning algorithms will advance the potential for Edge Devices to take over a growing percentage of computing requirements. Due to its ability to increase privacy and reduce latency, Edge Computing is expected to evolve greatly over the coming year. Although blockchain remains on the fringe in many ways, 2018 is likely to be the year that this technology enters the mainstream through increased adoption in IoT. There’s no question that big data has grown massively due to IoT, and blockchain technology carries the potential to take IoT’s ability to help companies target consumers more efficiently to the next level. All systems of interconnected IoT devices can use blockchains to effectively and reliably organize, store and share streams of data. Over the coming year, this technology is expected to play an integral role in the multitude of industries that manage real-world objects moving across different geographies, thereby making blockchain one of the top IoT trends in 2018. Unfortunately, as is the case with the growth of all internet-based technologies, security challenges will increase as IoT expands. Hackers will present new levels of concern for security experts, as more devices become connected to one another. And the growth of industrial IoT will increase the potential for vulnerabilities in global infrastructure systems, thereby creating new challenges for network security experts to overcome in order to prevent malicious attacks on businesses, governments, and individuals. The Internet of Things has already had a profound effect on our lives, and this technology promises to further alter our world dramatically over the coming year. While the three categories discussed in this article will evolve greatly, there’s no way to be certain about everything that will come to fruition in 2018. But remember: that’s what makes technology so exciting!